Your child spends most of their weekday hours at school. Help set them up to make healthy food choices while at school. School lunches and snacks provide them with the energy and nutrients to get through their day. Their food is also a major source of essential vitamins they need to grow and develop. This includes the growth and development of their teeth too! The Canadian Food Guide provided by the Government of Canada encourages to speak with your kids to help plan for the week ahead. Get their input on the foods they enjoy including vegetables and fruits, whole grain foods and protein foods. Sometimes a dinner during the week can also make for a great leftover lunch! Make sure their lunches include the four vitamins and minerals that help to strengthen their teeth. These include Calcium, Vitamin D, Phosphorus and Vitamin A.
Calcium helps to strengthen their tooth enamel. This includes dairy products but also leafy greens, beans and almonds. Just check if their school is nut-free first! Vitamin D can help absorb and carry calcium to the bones that need it (including your child’s teeth). Some dairy products include Vitamin D, but it can also be found in some oatmeal and other breakfast products. Vitamin D can also be naturally taken in from the sun (just be sure to wear sunscreen)! Phosphorus helps to rebuild tooth enamel. It is often found in protein-rich foods such as meat, poultry, fish and eggs. Vitamin A is known for keeping your gums healthy and building strong tooth enamel. Foods that contain Vitamin A are often orange! Think of sweet potatoes, cantaloupe and carrots! Pack healthy lunches for your child or have them be part of the process! Check out this fun video from Healthy Canadians on how to prepare healthy snacks and lunches for school! Healthy nutrition choices at home and at school will help your child’s oral health. Don’t forget to bring them in for their dental check-ups too! 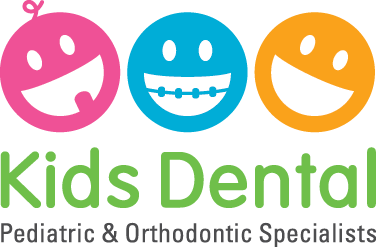 Visit us at Kids Dental Group in Richmond Hill, Stouffville and Markham!